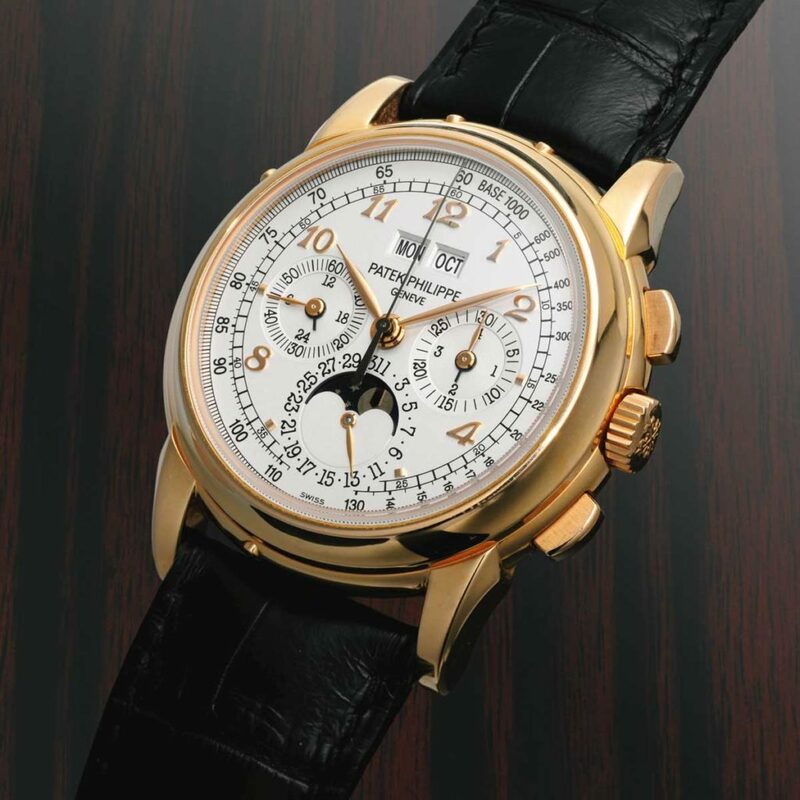 Patek Philippe’s Geneva Salon on the Rue du Rhône is one of the great landmarks of the horological world. When I first visited it over 25 years ago, you could still refer to it as the headquarters: above the shop were offices, workshops, and a few items from the museum collection displayed in cabinets in a room that had not made up its mind whether to be a waiting area or a conference space. This historic site still has the famous Cordoba leather-lined room facing the lake, along with the safe that Patek carried away from the wreckage of Tiffany’s failed attempt to establish a watch factory in Geneva in the 19th century. Otherwise, much has changed in the intervening quarter century: workshops and offices are in Plan-les-Ouates, the museum has its own building and these days the Rue du Rhône is Patek’s senior salon. It is a place of pilgrimage seldom empty of clients sitting at the well-spaced tables hunched like monks in a medieval scriptorium, over the small ticking masterpieces they are buying. On the first floor is a panelled wall that turns out to be a sliding door behind which is a modest corner room that has traded the grandeur of the double-height balconied entrance hall for a quiet, almost conspiratorial intimacy. This is where I meet Patrick Cremers, the suave manager of the Geneva salon, and where I see the small trickle of new-old-stock items that Patrick disperses to favoured clients. I am not much of a client – alas my means do not permit it – but I find that I am favoured as, from time to time, Cremers comes across something that he knows will interest me and suggests I come to take a look. Having mentioned en passant how partial I was to the 5970, I found myself being invited to see a brown-dial version that he had just received – seven years after the model officially ceased production. Although I asked, he refused to send me a picture, saying that this had to be seen in person. Cremers understands his metier well – a photograph of a watch, particularly a snapshot on a phone, commoditises it. Given the global nature of the watch market, we are so accustomed to assessing and buying things without even seeing them that they begin to take on an abstract quality. There was nothing abstract about this watch on my wrist – it is one of those timepieces that reminds me why I became interested in wristwatches in the first place, one of those objects that I can imagine improving my experience of the human condition. 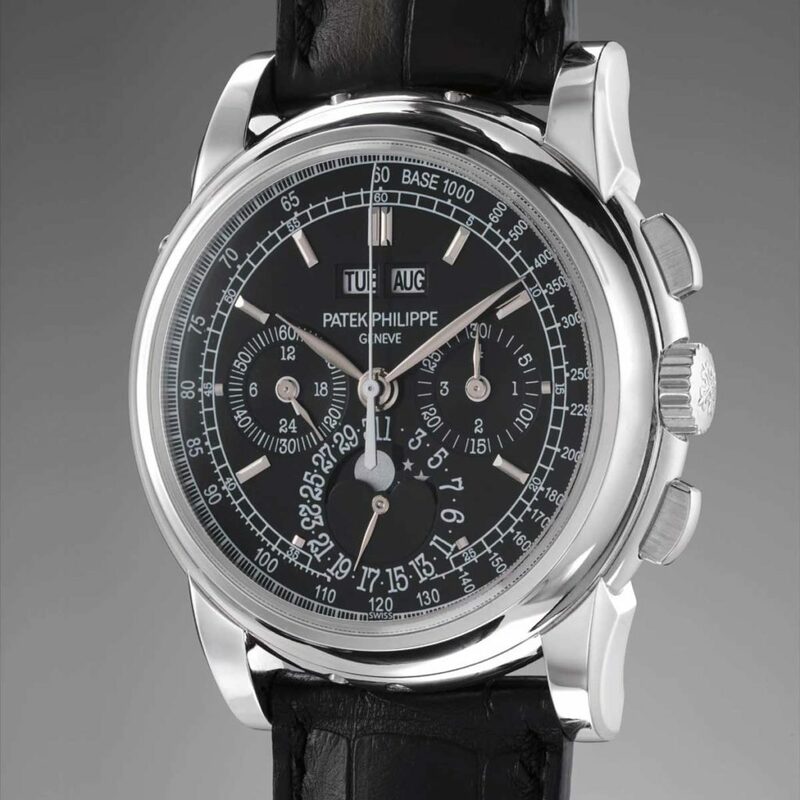 I have been looking for a souvenir to celebrate the publication of my Patek Philippe book and now I had found it… and then lost it again on being told the price, leaving me with just a memory and a photograph. Apart from the beauty of this model and the unusual dial colour, I have particular fondness for the historical significance of the 5970 as it is the bridge between the eras of Philippe Stern and his son Thierry. I sometimes sympathise with Thierry. 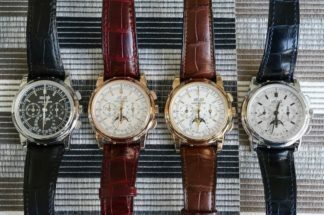 While he may have the consolation of owning and running what is generally accepted as the world’s most prestigious watch brand, he has the problem of succeeding his father. 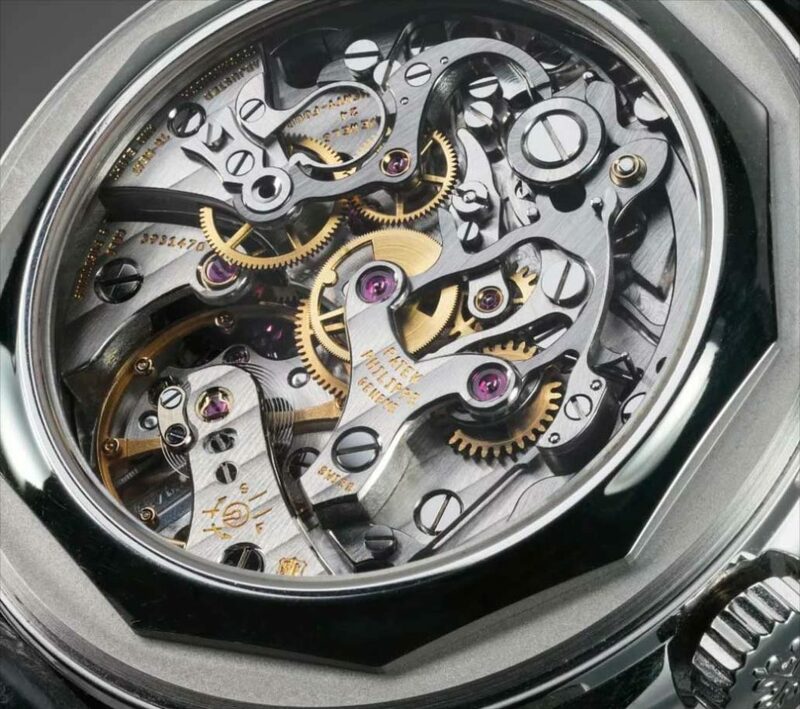 Horology has few harder acts to follow than Philippe Stern. 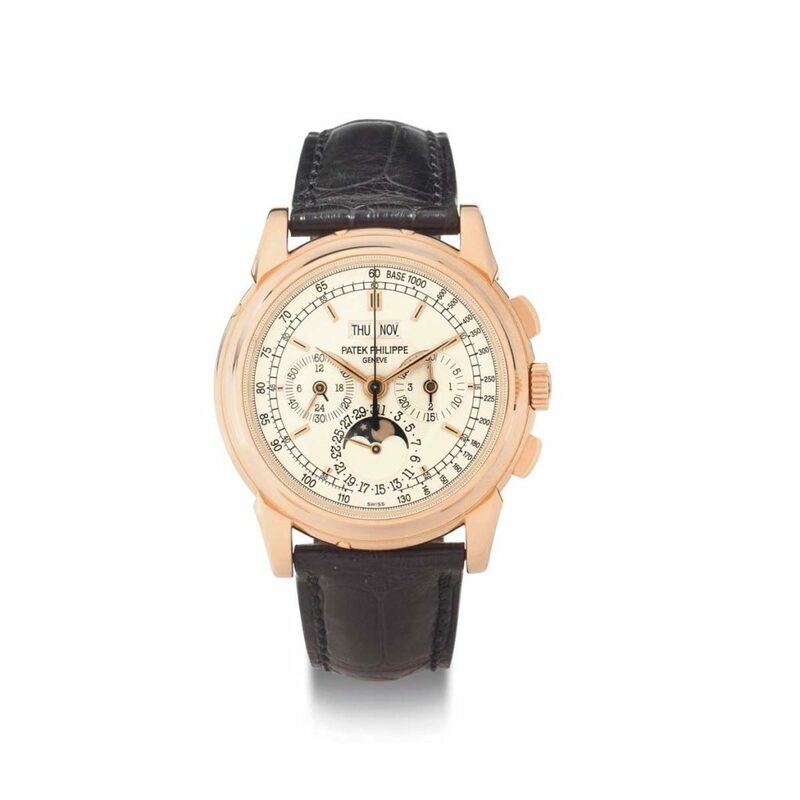 His achievements are legion and one of them is the 3970, the classic chrono-perpetual combo that enjoyed an almost 20-year run until Philippe Stern, decided it was time for it to retire and for his son to design a totemic Patek before he handed over the company to him. In his days learning the business at Ateliers Reunis (the case and bracelet workshop that now houses the museum), he had come to understand that designing a great watch was not the same thing as designing a great Patek. 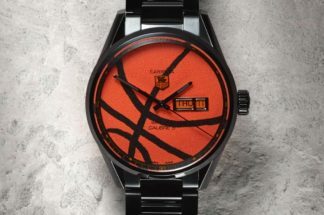 There is no road map; instead, whichever Stern is in charge has the responsibility of deciding what is and isn’t a Patek. “In the end, I decided to design a watch that could be worn by my father or myself: a watch that would suit my father’s generation as well as mine. For me it is one of the few pieces, perhaps the only piece, which is a mix of two generations of the Stern family. The combination of perpetual calendar and chronograph conveys a significant amount of information and Thierry’s main concern was to make this all legible. “For that. I needed more space than the 3970 allowed. The indication of the day and month were giving me so much trouble that I came very close to including a magnifier on the glass to enable them to be read easily. But that would have been too radical. Instead I worked to make it as simple as possible and we tried around 20 different dials”. Moreover, as the movement was the Lemania-based calibre that had proved itself in the 3970, Thierry had to be careful that the sub-dials did not seem marooned in the middle of a comparatively empty dial. Back in the days when watches were getting larger with every passing month, many hasty designs saw ever greater proportional difference between the size of the calibre, the case that housed it and the dial that covered it. Launched in 2004, at 40mm the 5970 was by no means big for its day, but it allowed the sub-dials space to breathe; as a res­ult the date on the sub-dial at 6 o’clock is noticeably more legible, as Thierry made that sub-dial bigger. However, the clean and legible scales of the two sub-dials at 9 o’clock and 3 o’clock are familiar from the 3970. Any sense of agoraphobia is banished with the tachymeter that provides what is in effect a circular frame for the familiar yet subtly different layout. 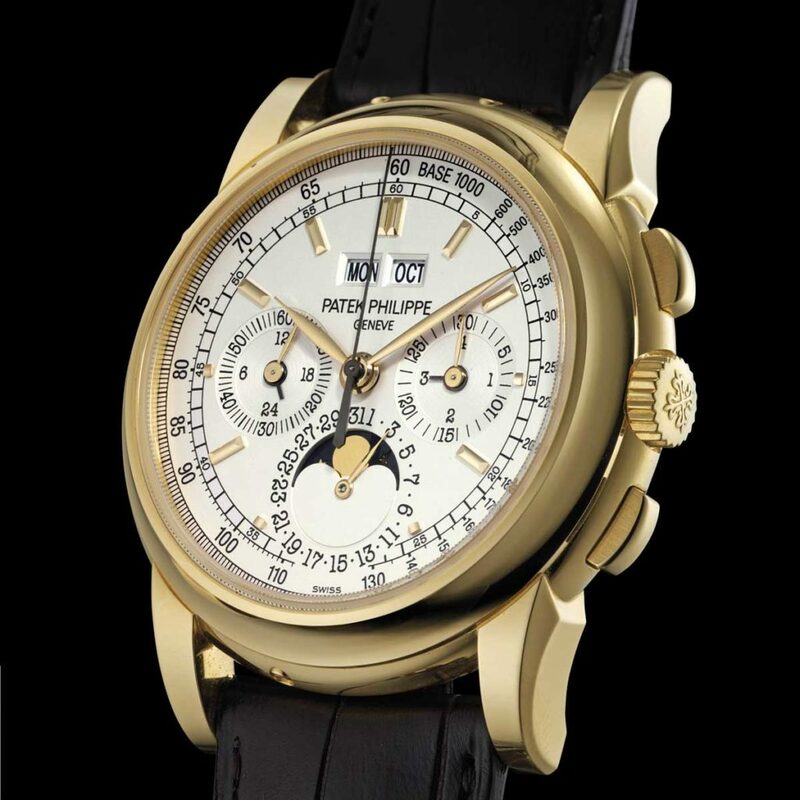 Made from 2004 until 2010 (these are the official dates confirmed by Patek, although 2011 appears on certificates of origin on end-of-series models), the run is short enough not to have had facelifts or modifications so there is none of that tedious “my first series is better than your second series” nonsense to contend with. 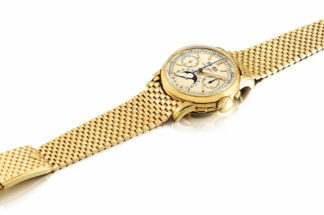 Available in all four metals (apparently yellow gold is the scarcest), Patek declines to give production numbers, but John Reardon, the Christie’s watch boss who was a former Patek staffer, estimates that there are around 2,800, making it rare enough to be prized yet sufficiently numerous for there to be an active market. Prices hover around CHF 129,000 for gold models while a platinum model fetched CHF 187,000 in November 2017 at Phillips Geneva. But, for some people, it is not just enough to be invited to dinner – they have to have special placement. And for those more demanding guests at the Patek banquet there are pieces like the watch I saw in Geneva. 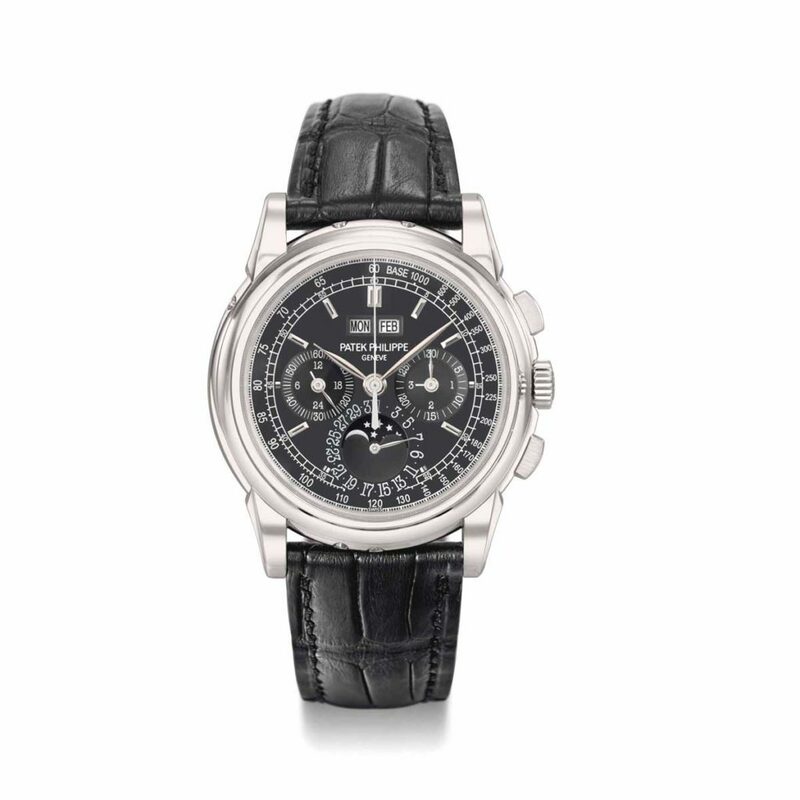 Even the most trifling deviation from the norm can affect the price: white hour and minute hands pushed a black-dial platinum 5970 from 2010 to CHF 225,000 at Sotheby’s Geneva in November 2016. At the end of the 5970’s alas-too-brief production run a series of special end-of-line models were made in four-piece sets of white, yellow, rose and platinum. These are distinguished by dials that, instead of batons, have a Roman XII and rather brilliant, droplet-like hemispherical hour markers. 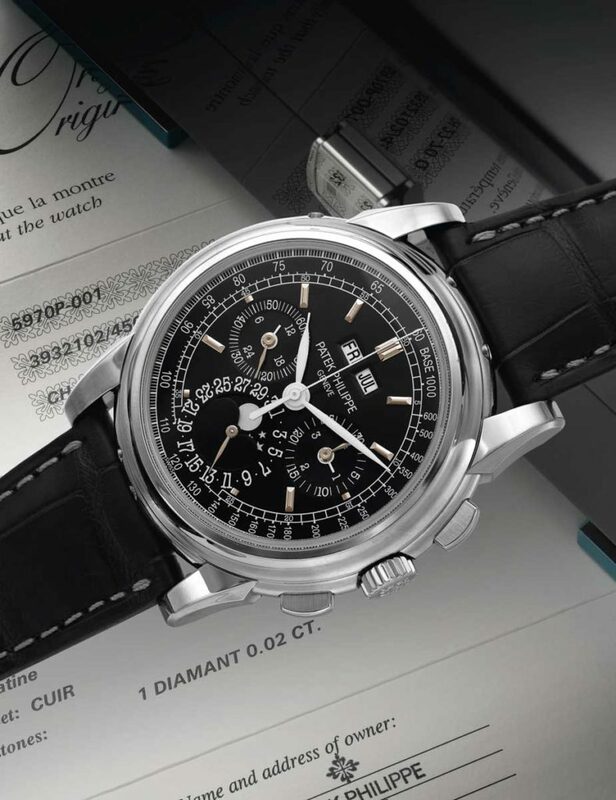 In December 2013, a champagne dial execution fetched USD 353,000, with a white-gold and salmon-dial making approximately USD 400,000 in May 2014. 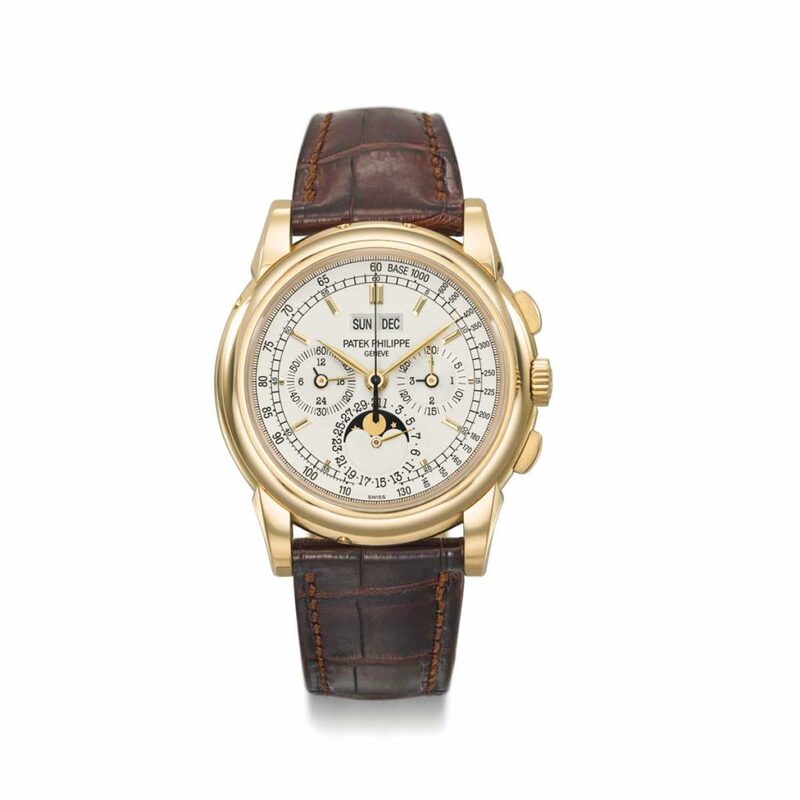 Also rather special was a brace released for Patek’s Grand Exhibition in London, which offered, among other amazing resurrections, two 5970s, one in white gold with a salmon dial (£170,380) and one in yellow gold with black dial (£162,970). Having seen the salmon and white gold in the metal I can confirm that it is (almost) as beautiful and striking as the brown and yellow version I encountered on the Rue du Rhône. 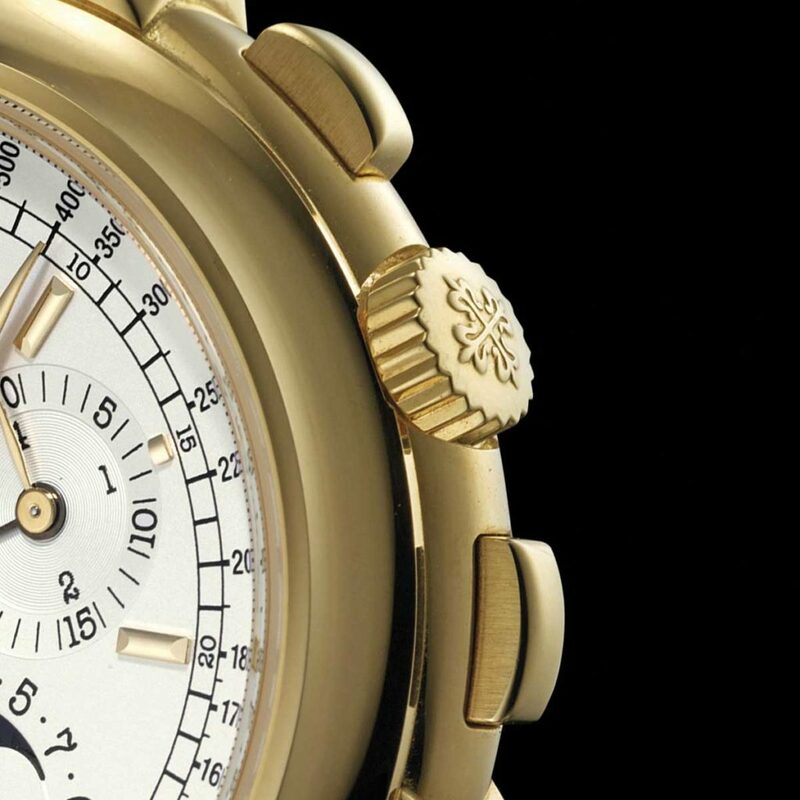 Of course, Eric Clapton can be relied upon to shake things up a bit, requesting the baton hour markers on his pink-gold 5970 be replaced by Breguet numerals at 8, 10, 11, 12 1, 2 and 4, and adding a pink-gold brick-link bracelet. 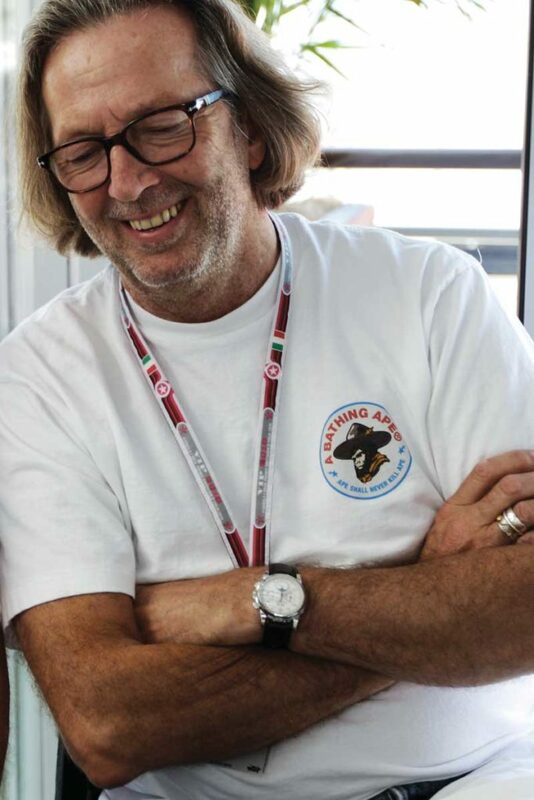 There is also a rather indistinct picture of him attending a motor race with what looks like a white-gold or platinum 5970, also with Breguet numerals. 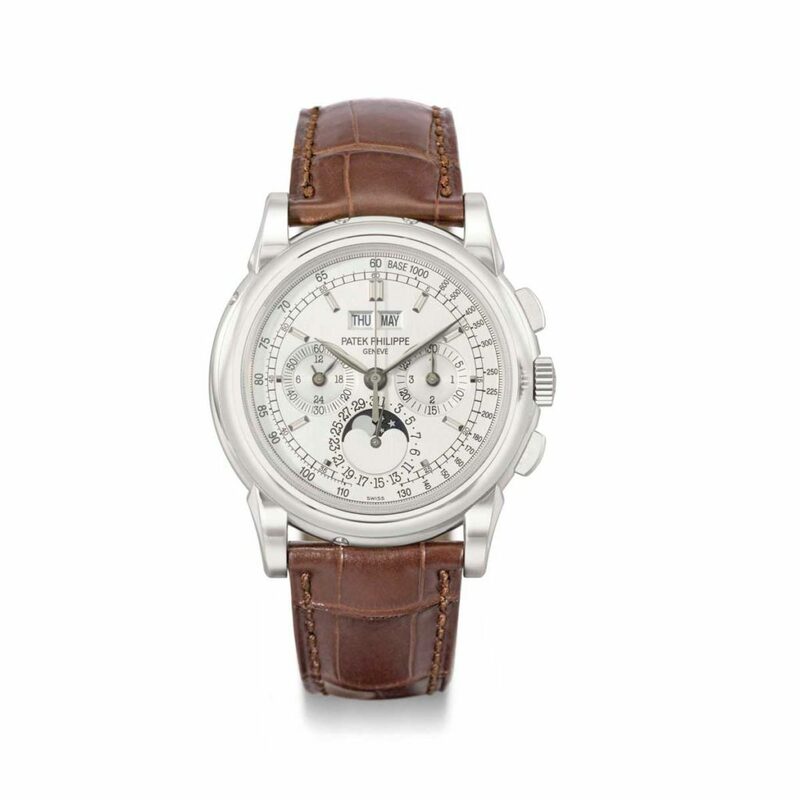 Because of its recondite nature, slightly increased size and old Lemania-based calibre, Patek snobs who like to show off in a “things ain’t what they used to be” way describe it as the last great Patek. 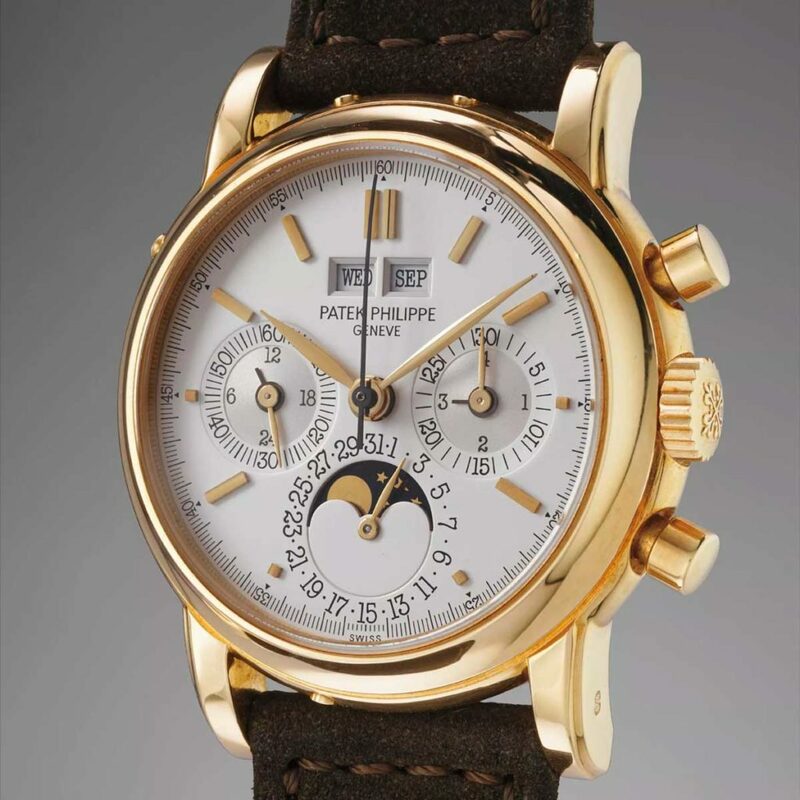 I prefer to see it as the first great Patek of the Thierry Stern era. His tenure has already seen some noteworthy designs including the controversial Pilot (I am still a little disappointed that I was not allowed to buy a steel one), and just last Basel there came the white-gold Jumbo Aquanaut with blue dial, as well as the gorgeously balanced ref. 5320 Perpetual Calendar. But I reckon that if you were to press Thierry Stern to say which design makes him most proud, the chances are he will tell you that it is the 5970. Seeing that brown-dialled beauty leave my wrist and go back into stock, I would find it hard to disagree.